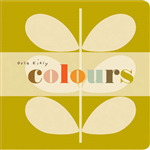 With iconic shapes and patterns, Kiely presents basic concepts fashionably and accessibly. Each spread features a color or number illustrated by a famous Kiely pattern. Simple enough for toddlers yet sophisticated enough for fashionistas, these books are ideal for mothers and babies. Full color. 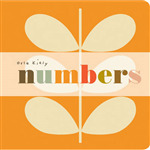 Orla Kiely counts with her trademark simple sophistication. 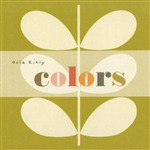 This companion book to "Colors" includes a spread for each number from 1 to 10, with a numeral 1, a spelled-out number one, and a labeled, classic Orla Kiely shape.